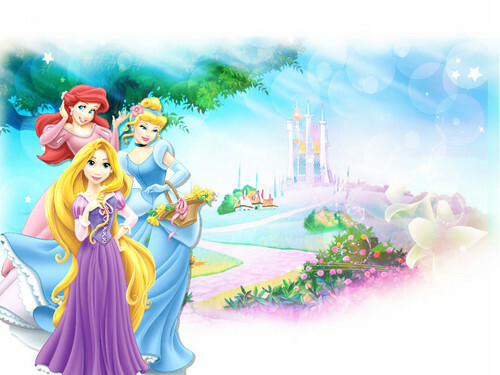 Princess Ariel, Princess সিন্ড্রেলা & Princess Rapunzel দেওয়ালপত্র. . HD Wallpaper and background images in the ডিজনি জগতের রাজকন্যা club tagged: disney princess disney princess wallpapers the little mermaid princess ariel cinderella tangled princess cinderella princess rapunzel.